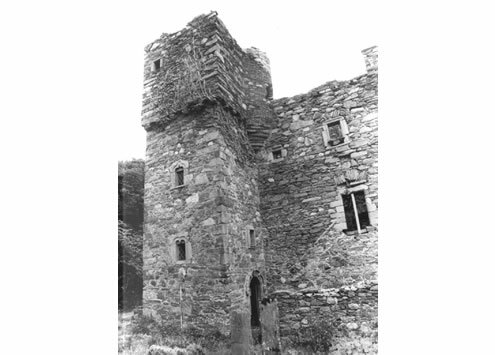 Barholm Castle, a 17th Century Tower House with earlier origins, sits on a high bluff on the east side of Wigtown Bay overlooking it’s fortified predecessor at beach level. Completed in 2008, the building was restored and conserved to provide a private 4 bedroom house. 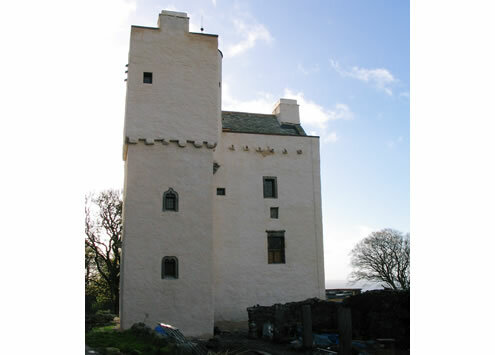 The Building is listed Category A and is a Scheduled Monument and was supported and grant aided by Historic Scotland. The project won an award from the Glasgow Institute of Architecture and is featured by HS as an exemplar on their Grant Application Form. Prior to works commencing its condition would best be described as ruinous. Given the state and quality of the structure extensive and careful historic and archaeological research was required to establish the likely layout and appearance of the original building. Traditional and historically correct materials were used throughout, and the whole exterior was finished in lime harl and limewash which matched the original appearance. 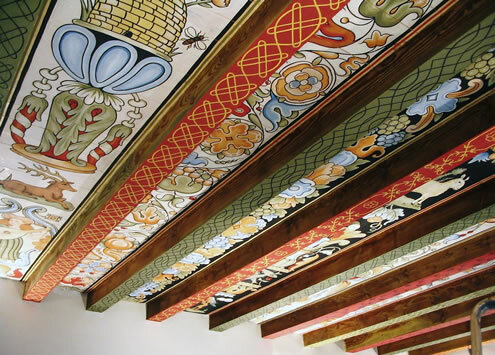 The conservation included restoring the Great Hall with a new traditionally painted ceiling, rebuilding the whole west elevation and providing new floors and roofs throughout as well as new services and access.